(8) Push pins are included to easily display mementos up to 1/2" thick. 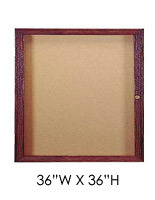 Shadowbox features a linen covered Styrofoam™ back for pinning items. 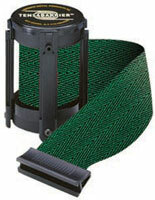 (2) Mounting hooks for vertical or horizontal orientation. Glass front to view contents. This shadowbox has a black frame to create a neutral backdrop. 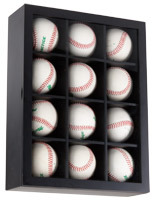 Each display case will look nice in any home, office, media room, or store. Each shadow box includes (8) pins to secure you precious treasures into the casing. 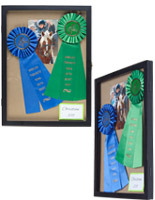 The back is a linen covered piece of Styrofoam™ to easily showcase medals, awards, patches, or dried flowers. Users can create picture collages, or scrapbook like pages in this shadowbox to commemorate special days or big events such as a wedding, new baby, or graduation. In addition these memorabilia cases make great gifts for mother's day, birthdays, or shower gifts. Each shadowbox, also called a small display case, can be case, can be made personal using different items to represent time spent together or a special time for them.personalized for the person for an added touch. Customizable frames can be changed as often as desired, as life goes on new events happen that customers may want remembered in this elegant way. This memento holder is a shadowbox that has a glass panel on the front of the unit so the contents can be viewed at all times. The back of the unit has push clips to easily remove the backing and get access to the display. 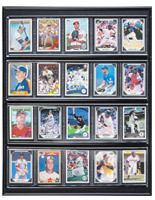 Each collectors case is a shadowbox that is easy to use. Simply use the straight pins to tack the photos or ribbons to the fabric, and replace the board back into the unit and it is ready for displaying. 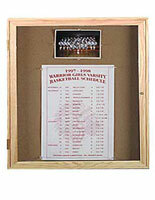 This shadowbox can be showcased vertically or horizontally, to accommodate different size items. In addition, this customizable display may be exhibited on a wall or a desk has mounting hooks to make for quick and easy wall mouting. Each memento case is a shadowbox that is great for protecting keepsakes, either short or long term. Many consumers will purchase multiple displays to create an organized and uniformed presentation. When displaying a series of frames, customers will often group items together, users can group a wide variety of memorable items together, such as, maybe a collection of stamps, rare media collectibles, or christening outfits of the children lined on a wall. 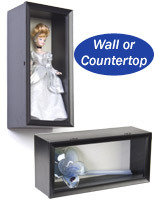 These award cases are an affordable, yet elegant way to keep priceless items safe and viewable.